The result of the experiment was a 3ms improvement. Although any improvement is certainly welcome, my expectation was for a larger improvement. So at the end of that article, I suggested that switching to outlaw-type wheels would reduce some frictional losses and possibly amplify the benefit of the shifted wheelbase. Outlaw wheels and nickel speed axles were used instead of Pro-Stock Wheels and zinc-plated speed axles. Additional tungsten putty was added into a hole in the bottom of the car to account for the reduction in wheel weight. As before, five heats were run with the polystyrene piece at the back of the car (standard wheelbase), then ten heats were run with the polystyrene piece at the front of the car (shifted wheelbase). Finally, five heats were run with the polystyrene piece at the back to even out the heats to ten in each position. Surprisingly (at least to me), the results of the second experiment were nearly identical to the first experiment. Thus, I have to conclude that shifting the wheelbase back by 1/4 inch, with all other factors equal, provides a 3 ms (approximately) improvement on a 32 foot aluminum Freedom Track. 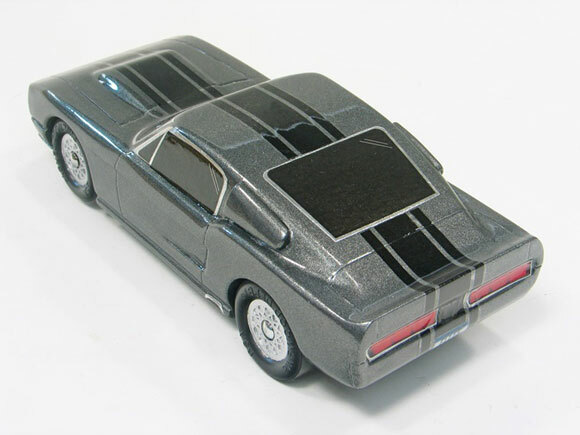 Today’s showcase cars are from Andy Holzer, master pinewood derby car builder. In 2015 we held a car club Pinewood Derby. The car club is called the Sedan Deliveries. One of the design awards was an award for the best sedan delivery model. So I decided to make one for the race. 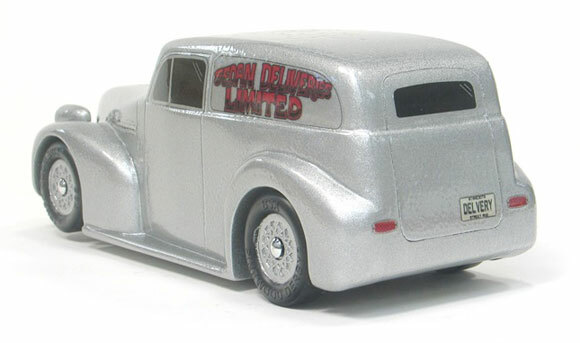 The club logo includes a 1939 Chevy sedan delivery. This is a large car; the glue up of this car was two blocks glued on top of each other. It was a lot of work getting a fat fendered car looking like it should. The headlights were made out of dowels stuck into the chuck of my drill press and sanded into shape. During the sanding process, the headlights were fitted and glued to the body. While the sedan delivery was being clear coated, the clear coat reacted with the paint and we had some trouble. The clear was allowed to dry and was wet sanded to get the paint flat again, then it was re-cleared. The sedan delivery won the “Best Sedan Delivery” trophy. It also was 3rd place for speed in the Stock Pinewood Derby class and 3rd place for speed in the Real Street class. 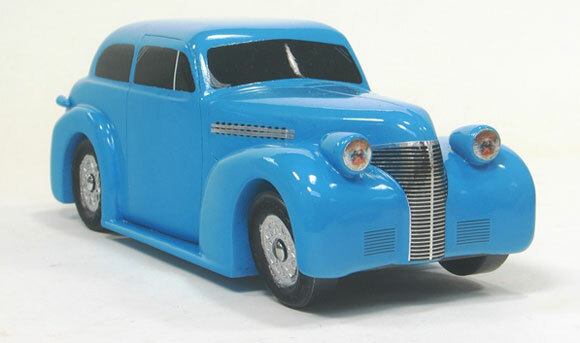 Once I had the plan for the Sedan Delivery completed, I figured it wouldn’t take much time to make a 1939 Chevy Sedan. 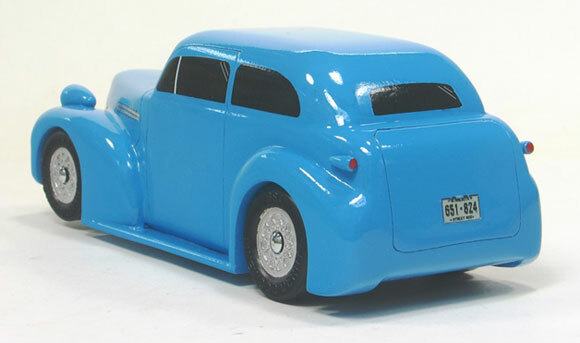 My neighbor, and fellow Sedan Deliveries member, has a ’39 Chevy street rod, so I figured that it wouldn’t take much to modify the plan to a sedan. The modification to a sedan was actually quite easy; I hoped the build would be that easy. I started the same as the delivery – two blocks glued together, cut out the wheel wells, and glued the sides on. About this time I realized that making two fat fendered, shapely cars was a lot of work. On the sedan I reshaped the hood twice and in the process I made the nose too rounded. Then I needed to build the front and rear lights for the sedan. After priming I realized the roof was too square and the hood sides were still not right – more reshaping. 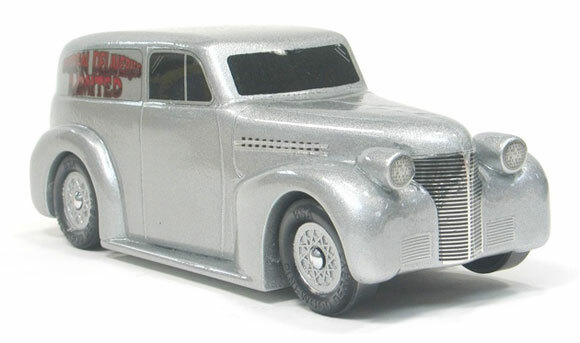 The ’39 Chevy came in 4th in speed in the Real Street class. 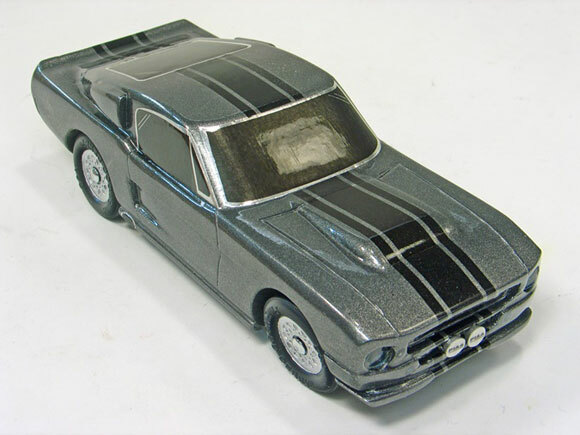 A friend of mine has a real Eleanor, a modified 1967 Shelby GT-500. If I remember the story right, his car was number 17 of 18 cars made for the movie. His was one that they did not complete because it was not needed to finish the movie. When he purchased the car it was a painted body; it did not have a motor, driveline or suspension in it. When he got it he had a fabrication shop install a 5.0 Coyote motor from a wrecked 2013 Mustang. I built this car for my friend. Eleanor only raced in the Real Street class, it took 1st place for speed and won the “Most Resembling a Car” trophy. 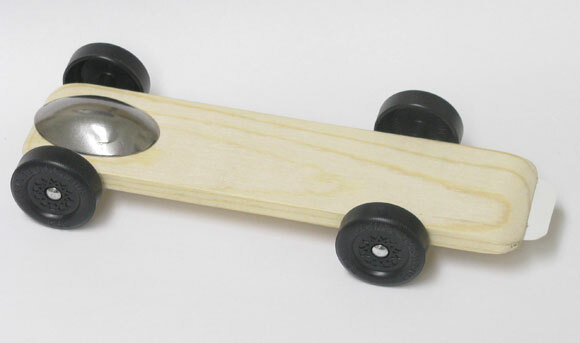 Fast and pretty, that is how I like them – pinewood derby cars, that is. 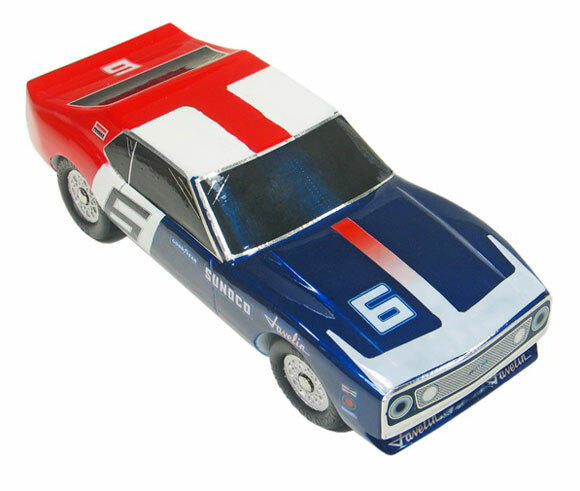 I also decided to build a 1971 Penske Racing, Mark Donohue Javelin/AMX. 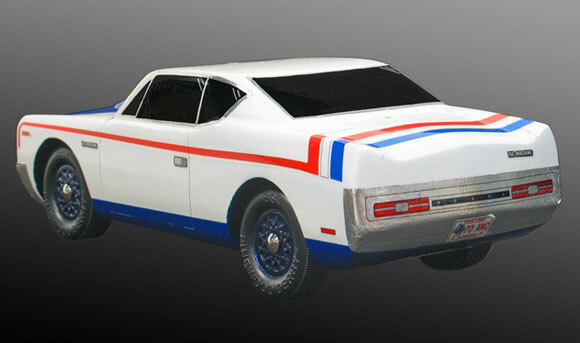 This is the same car that won the 1971 SCCA Trans-Am championship, with seven wins out of ten events. In the summer of 2014 when we were in Kenosha for an AMC homecoming, we saw some guys unloading their replica of the #6 Donohue car. Noah just happened to be wearing his T-shirt of the #6 Javelin. The owner asked him if he wanted to take his shoes off and sit in the car. The owner even let him start the car. 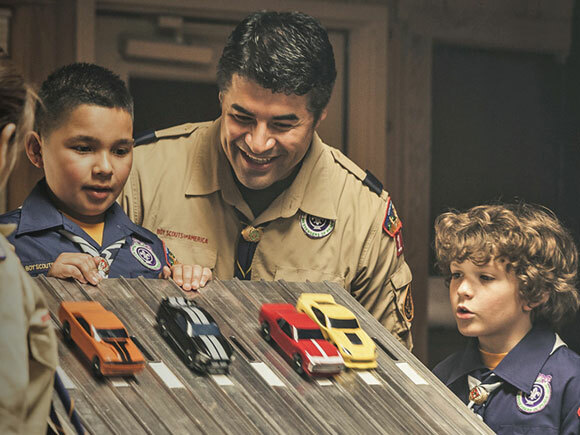 Last year I built a Javelin and three other cars for the 2015 Cub Scout recruitment campaign (the Javelin is the red car with the white T stripe). The Javelin/AMX did not race as well as the original. In the Real Street class it came in 9th for speed out of 15 entrants. My 16 year old son, who has been a Boy Scout for 5 years, still enjoys making Pinewood Derby cars every year. In 2015 he decided to build the American Motors 70 Rebel Machine. 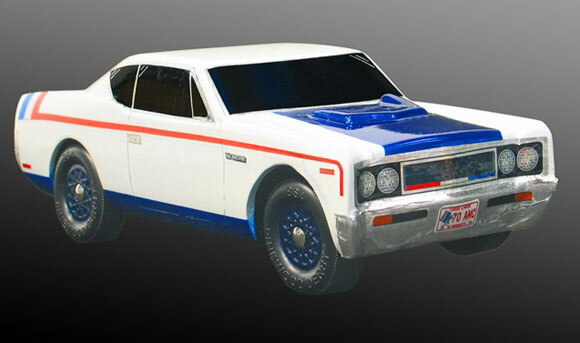 It seems odd that a boy – who was not alive when American Motors Corporation was still in business – would decide to build a car from a 27 year defunct company. We have a 1966 Marlin and in the summer of 2014 Noah went along with me and my dad to the Kenosha homecoming. Kenosha, Wisconsin is the place where AMCs were built from their inception back in 1954 up until the end in 1988. At this show there were all kinds of AMC, Nash, and Hudson cars. 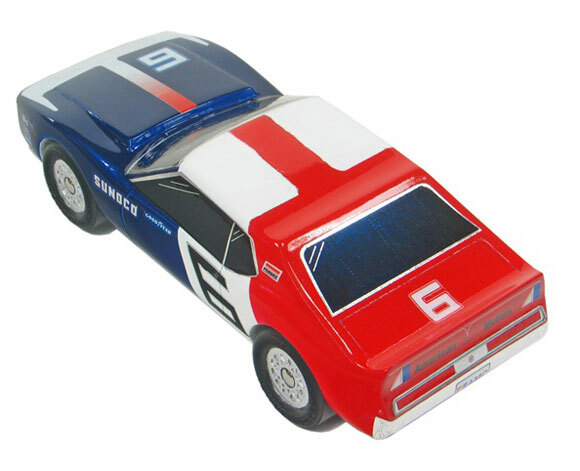 Noah thought the Rebel Machine and the SC Rambler were very cool in red, white and blue livery. The Rebel Machine took 8th place in the stock class (out of 15 cars) and 5th place in the Real Street class (8 cars). We may have to play with it some more before we race this one again. We had our pinewood derby a few weeks ago. My kids and I built three cars, two for the open class (Michelle, 10 years and Johnny, 4 years) and one for my 6 year-old son (Alex) who is in scouts. It was the night before the weigh-in and everything was going great. We rated the wheels and placed the best set on Alex’s car, and the worst on Johnny’s. We then polished, aligned, lubricated, etc. The cars were looking great. Then disaster struck. The only way that I can describe it is that the wheel slots on Alex’s car melted apart. When Alex had painted his car, he put on so much primer and paint that the car had a spongy feel (it still is that way!). The wheels fell off and the axle slots were ruined. This was about 5 hours before the official weigh-in and we did not have time to build another car. So, using epoxy, we glued the wheels on as straight as we could. We then went to the weigh-in and were set for the race. On race day, I was the judge that monitored the cars and kept them from being modified before the race (I also was the one who carried them to the starting line). When putting out the cars, I noticed that the wheels on Alex’s car were very much mis-aligned. It must have been bounced around after check-in. But since all of the cars were registered, there was nothing we could do. Alex was very disappointed to find out that his car placed almost dead-last. The wheels were so out of alignment that while the car was fast for the first few feet, it did not have the staying power to finish the race. It would run in first place for the first few feet and then lose out in the end. The one bright spot in the otherwise sad day for Alex was that he won the prize for the sportiest looking car. Then came the open division. Michelle’s car finished 9th or 10th, and took first in the unique design category. Johnny’s car (which had the worst wheels and the least attention to alignment), finished 5th. His car did not lose a race until the final two races. It just goes to show that you can never really predict what will happen when you race in the pinewood derby. My boys have been using the wedge design and other tools from your site for over six years and we’ve had great success, winning or being in the finals each year. I’m wondering if, instead of the lead, the wedge (basic wedge) can use tungsten? Installing and shaping the lead has always been the most challenging part for us. If you are using an extended wheelbase version of the wedge, then tungsten would be best. If you are using a standard wheelbase version of the wedge, then you can use tungsten, but you just have to be careful to not overload the back. You would want to have a target balance point, then slip the weights in without glue, temporarily mount the wheels and axles, and check the balance point. Adjust the weights until the desired balance point is achieved, and glue them in place. Make sure to leave the car a little light, and add the final weight at the weigh-in. I would like to try racing in a league race. I will have to send in my car a couple of weeks early because we are driving to Florida. Should I try to use oil – I have not tried it before? I don’t recommend lubing with Krytox 100 more than one week before the race. It may be okay, but it would safer to use graphite with that amount of lead time. I am going to be using your propeller car kit for an upcoming outlaw race. 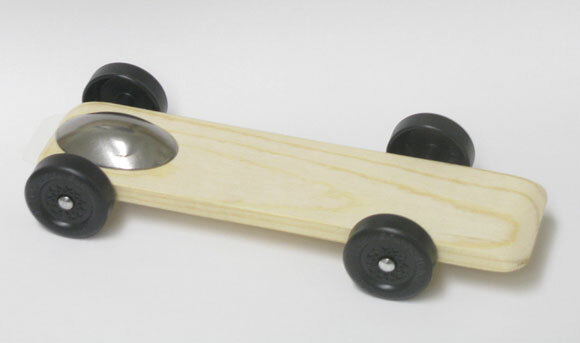 What is the ideal weight for a propeller car on a standard length aluminum track? Generally you want the car to be as light as possible. Since it is under power, it will continue to accelerate for the entire run, and the lighter the car, the greater the acceleration. Of course, at some point it could be too light and fly off the track. But with the parts in the kit, that doesn’t happen (at least, not that I am aware of).